One of the big stories coming out of CES this year is the growing list of products adding Amazon Alexa … from computers, wearables, vehicles, smart refrigerators, appliances — even shower systems and connected bathroom mirrors — to TiVo, Panasonic Blu-ray players and TVs from Hisense, LG and Sony (the only bigger surprise may have been the number of products that will soon feature Google Assistant integration). 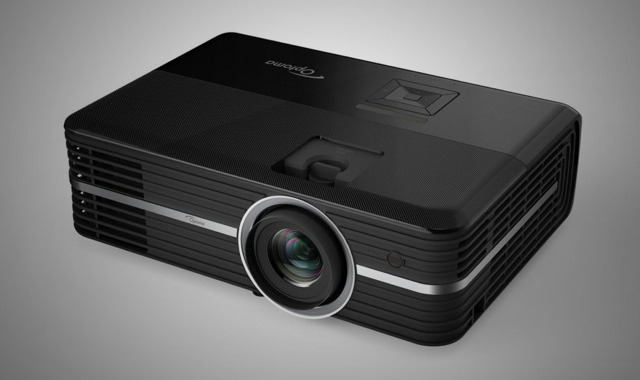 On the projector front, Alexa is coming to new 4K projectors from Acer and Optoma. Engadget declared the Optoma UHD51A its Best of CES winner in the Home Theater category. Optoma’s new projector promises “2,400-lumen brightness, a 500,000:1 contrast ratio and accurate colors with HDR,” reports Engadget, “but the real star of the show is the ability to control the rest of your smart home” with built-in Alexa functionality. The UHD51A, which also features “a built-in Android-based media player and a pair of 4K 60Hz-capable HDMI ports,” will ship this spring for $1,699.